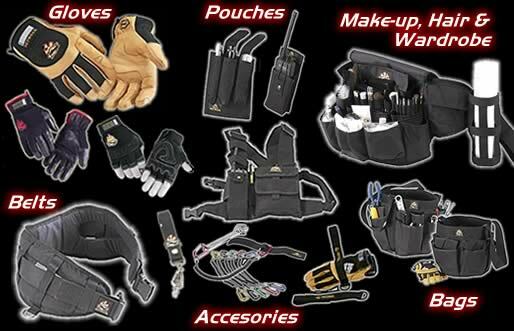 Setwear are the industry leaders in professional quality work & safety gloves, tool & utility belts, utility pouches and bags, radio pouches or holsters and the best selling radio chest pack. The extensive range includes pro quality leather riggers gloves in both tan and black leather. It also features the popular heat resistant HOT HAND glove range. The Setwear range includes accessories for stage hands, rigging, grips, gaffers, lighting and all aspects of the entertainment industry. The range further includes bags, smocks, aprons and accessories for make-up artists, hairdressers and wardrobe assistants. Setwear products have also found uses in many other fields including the rescue, emergency and law enforcement services, the fishing and hunting industries and the outdoor adventure market as well as the racing scene with both race mechanics and local contractors looking for quicker access to their tools. Setwear maintains high standards of quality to ensure that your equipment will provide superb protection against wear, tear, and the elements. All products are manufactured by Setwear Products Inc. based in California, USA. Setwear Australia are proud to be the main importers and distributors of Setwear Products in Australia.